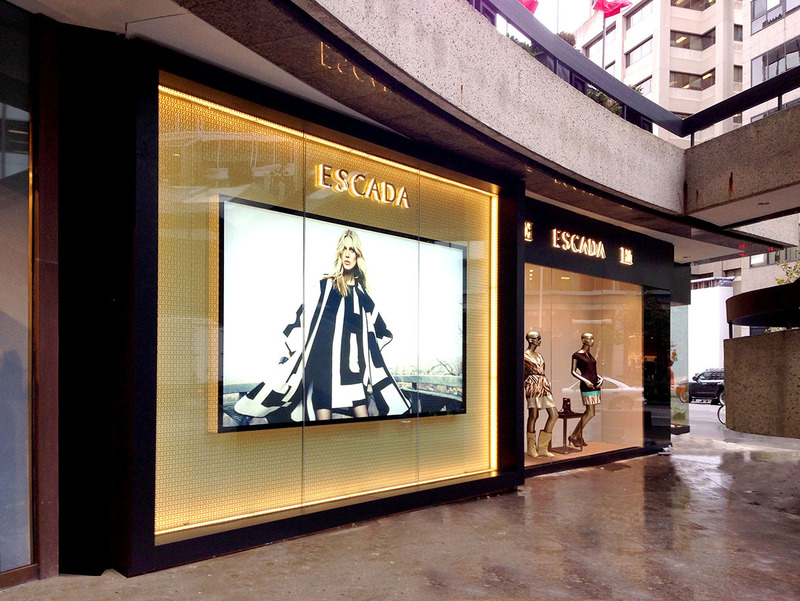 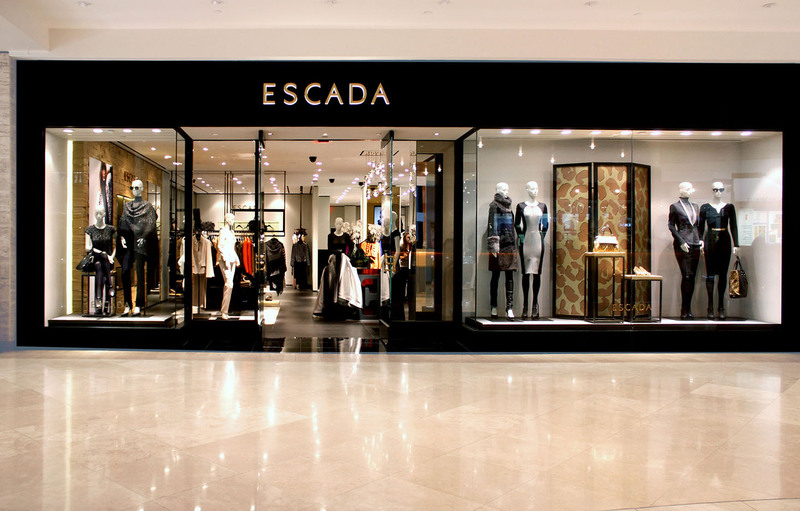 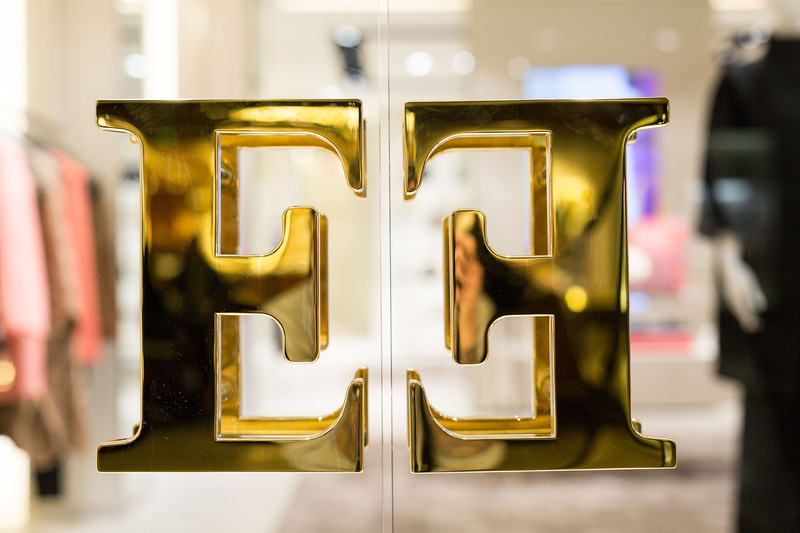 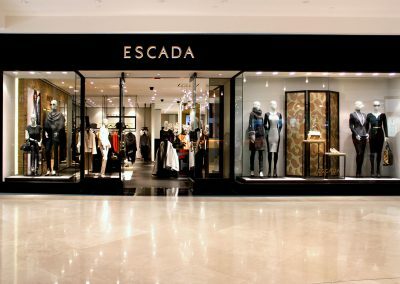 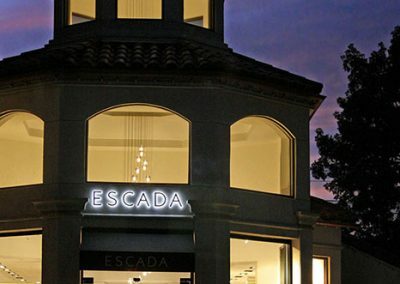 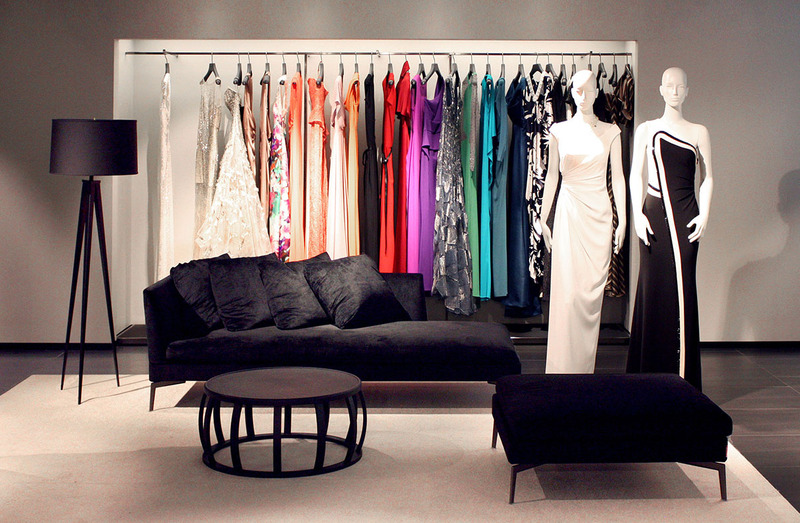 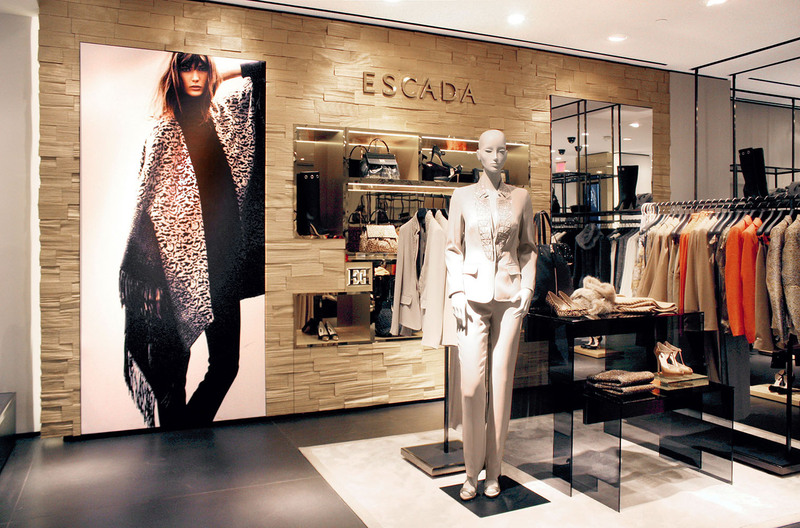 Gruen Associates is the Architect for various locations of Escada stores around the nation. 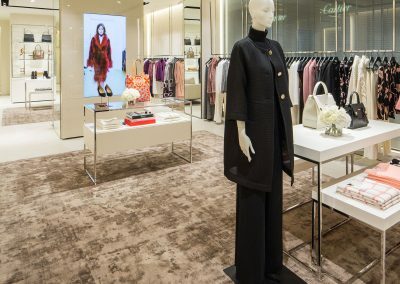 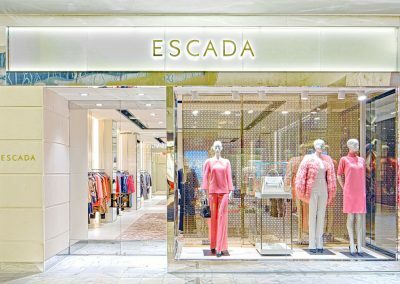 Based on a color palette predominated with off-whites and creams, the Escada stores provide a neutral background for the explosion of colors, which typify the German fashion house. 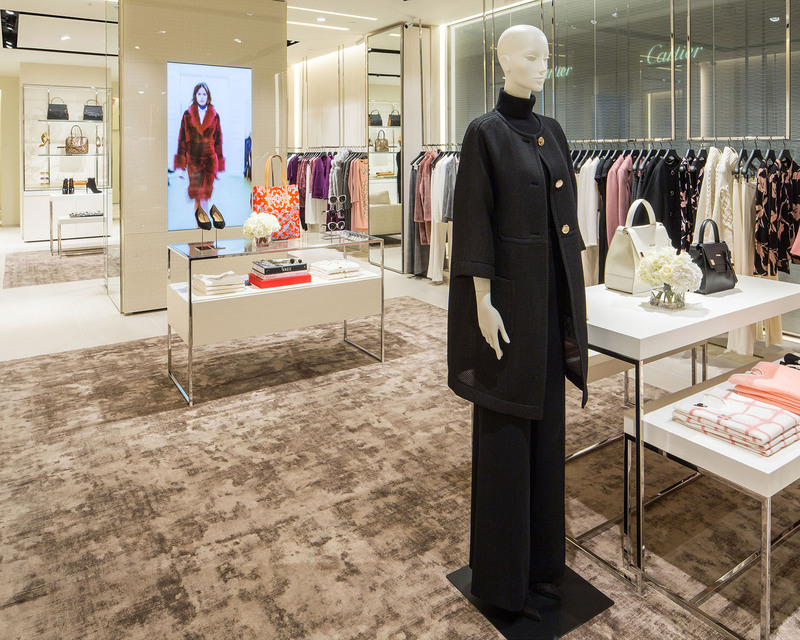 Imported Italian large-format tile floors silhouette the intricate footwear donned by patrons. 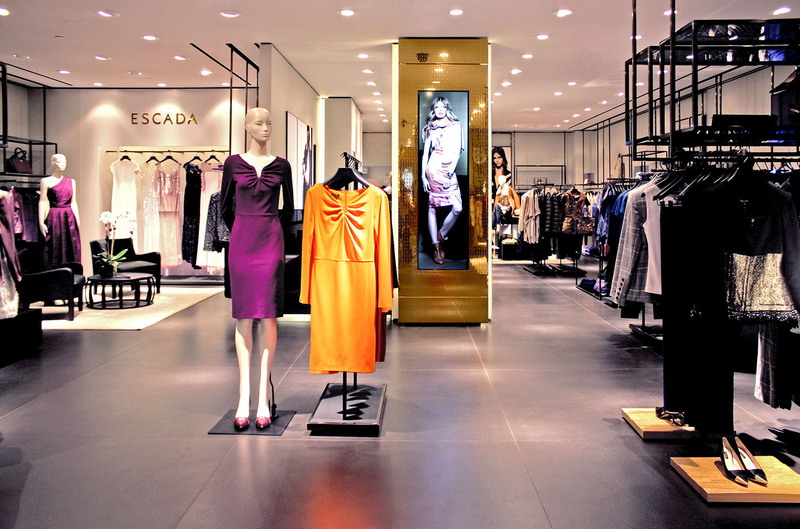 Dresses float on ceiling suspended polished stainless-steel rails. 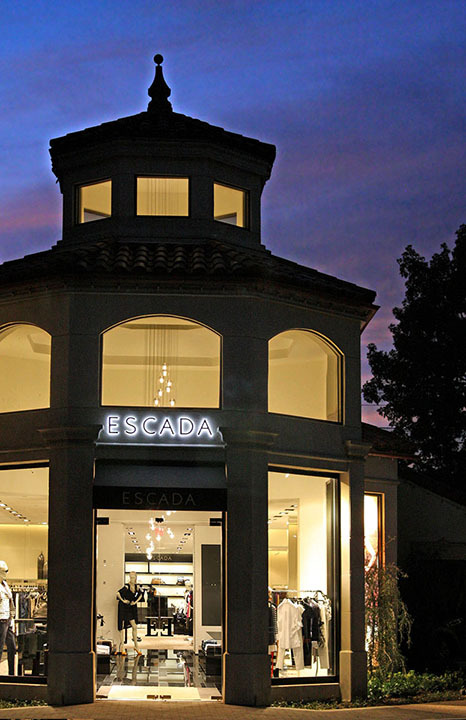 Custom-built millwork of back-painted glass and polished stainless-steel house accessories, belts and sunglasses. 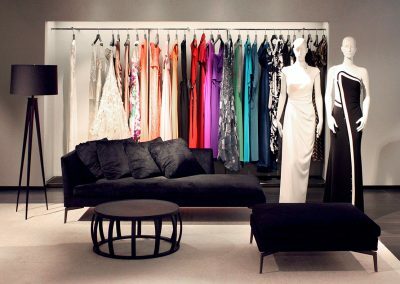 Evening gowns are displayed in cabinets of glass. 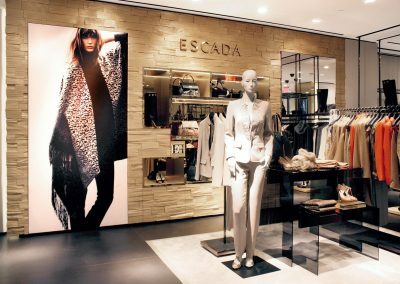 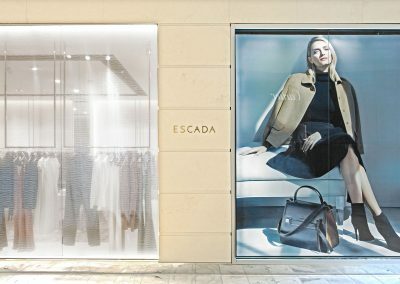 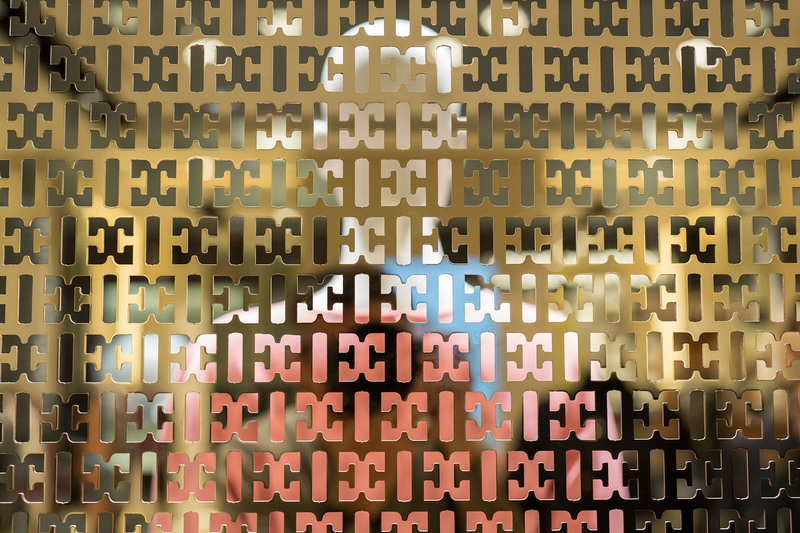 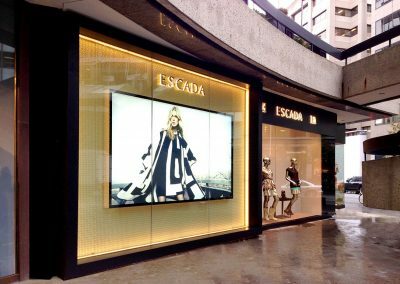 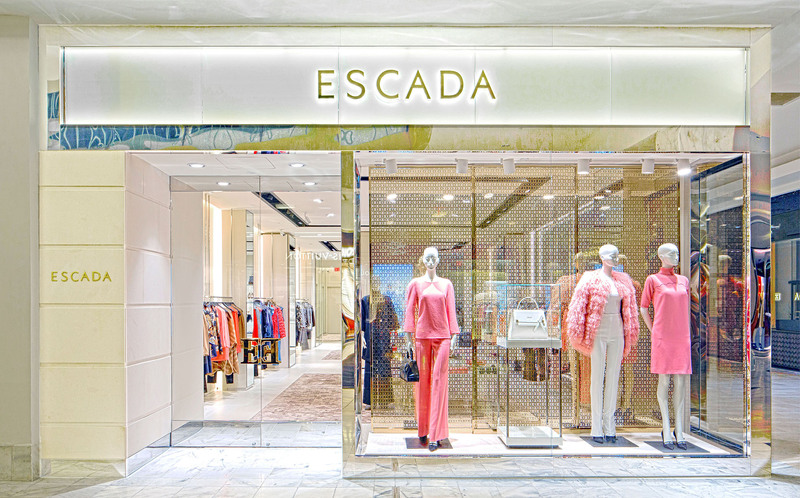 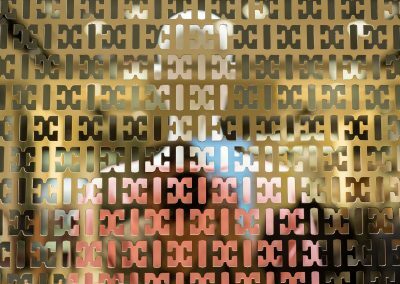 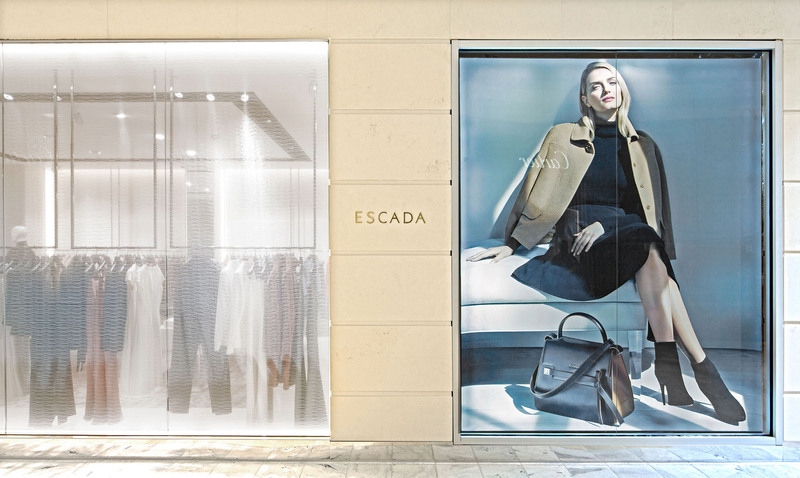 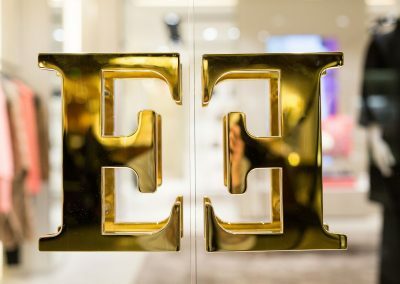 Rich fabric encapsulated between glass panels adorn the perimeter walls, framing the exquisite bounty of multi-hued creations for which Escada is so well known. 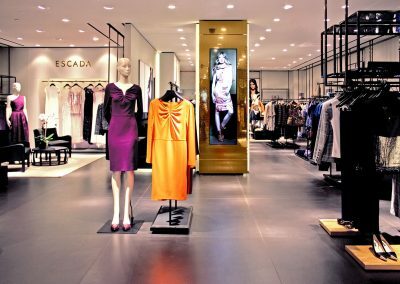 Gruen Associates is the Architect for over 30 galleries and stores in other locations including New York, Atlanta, Honolulu, Miami, Costa Mesa, Palm Desert, and Chicago to name a few.